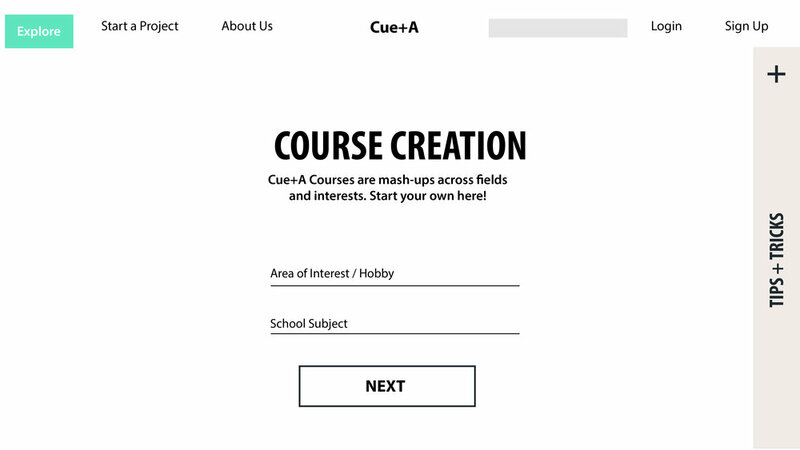 Cue + A is a student-driven platform for the courses they wish existed. The time crunch to cover curriculum requirements in school leaves little time for students to ask questions or explore important tangential topics. Elementary school has more room for creativity, but when things "start to get serious," in Middle School and beyond, there's less room for student questions. Teachers are constantly looking for ways to engage students, where some of the top suggestions include using students' interests and fascinations. Most online courses are either professional programs for adults, or prep-focused for school-age children. Cue+A is a web-based platform where students can propose classes based on questions they have. Teachers and experts can respond with video tutorials, stories, or explanations. Teachers are also provided with inspiration for topics to cover and content for professional development. 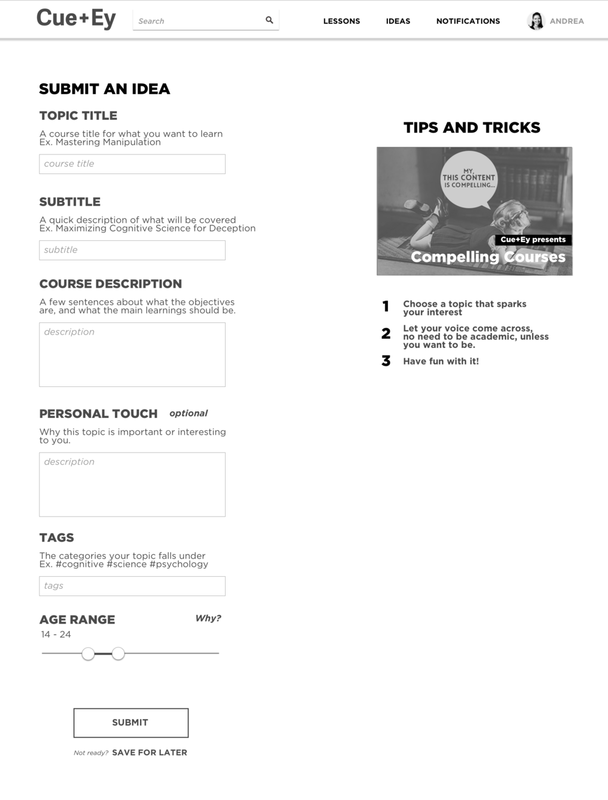 A test tutorial to help instructors get started with making videos, from a filmmaker and video storytelling teacher, Michael Chung. A course proposal form was filled out by elementary student Quinn about writing stories, which was then sent to journalist and author Rob Walker, who agreed to make a video in response.